Scott Disick is going to have a problem if he wants to see his kids, because we’re told Kourtney won’t let him near them until he cleans up his act. 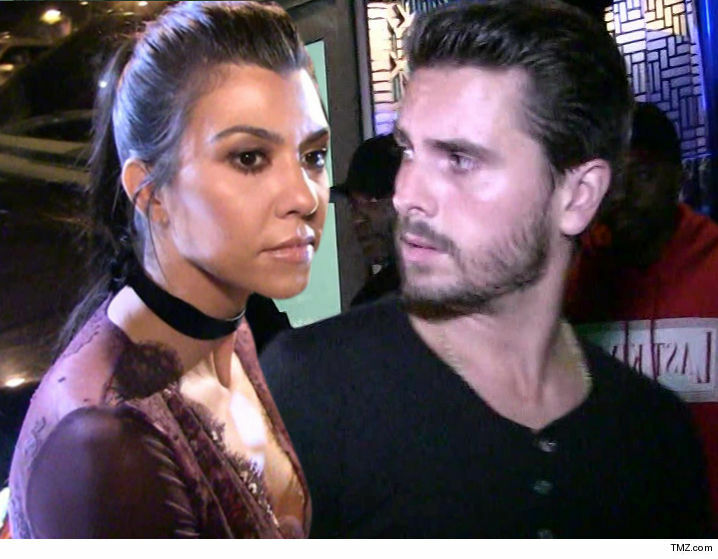 Sources close to Scott and Kourtney tell us he is off the rails again … abusing alcohol and other substances. We’re told she will not allow Scott visitation of their 3 kids until he gets clean and sober … something we’re told he refuses to do. This wouldn’t be the first time Kourtney laid down the law. Back in 2015, she made him persona non grata at her gated community, putting him on the “do not enter” list at the security gate. Scott went an entire month without seeing his children. We’re told Scott’s friends have tried to intervene to no avail. A few weeks ago they got Kourtney to call Scott and plead with him to get help, but he wasn’t having it. She want him to have a relationship with their kids, but feels it’s just too dangerous in the state he’s in.